Edna Adan is a name familiar to many of us who work to strengthen health workforces around the world. Edna’s a strong and dazzling force dedicated to ending preventable and maternal death in Somaliland and eradicating the practice of female genital mutilation. Edna has served as first lady of Somalia, foreign minister of Somaliland, the WHO’s Regional Technical Officer for Mother and Child Health, and the WHO’s representative in Djibouti. 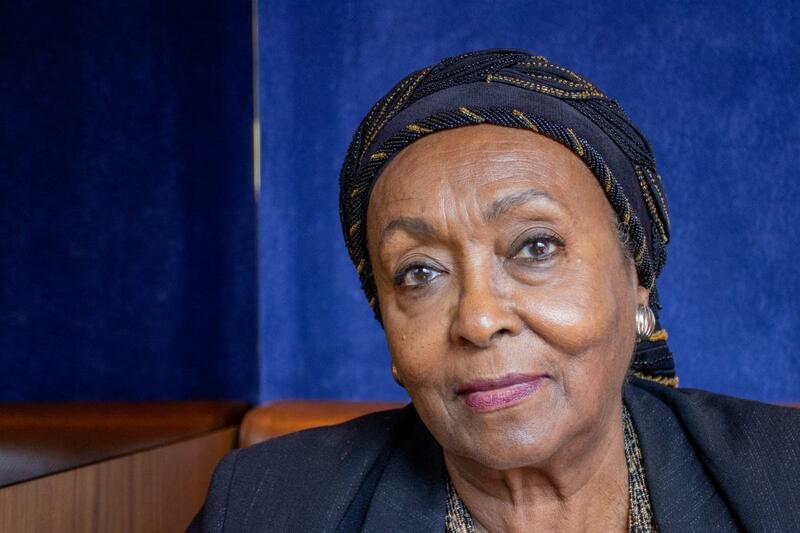 She’s also the founder of the Edna Adan Hospital in Somaliland where she’s working to train 1,000 new nurses and midwives to ensure safe delivery for more mothers. 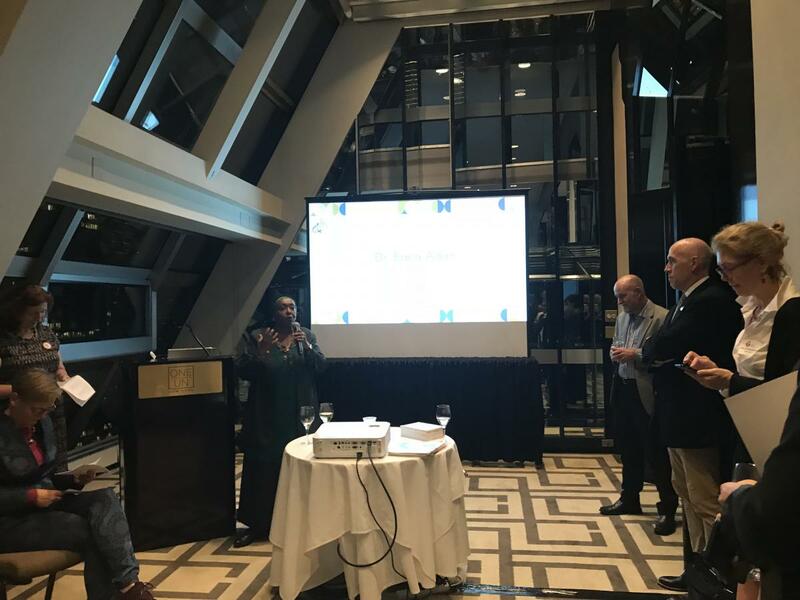 Taking time out of a busy schedule at the recent United Nations General Assembly in New York, Edna, a longstanding friend of the Frontline Health Workers Coalition, answered some of our questions. What are the key challenges facing nurses and midwives in Somaliland today? Despite improvements in understanding of the profession of nursing, people still find it difficult to understand what a nurse does, they forget that to become a nurse you must go through rigorous training, to understand the human body, its functions, and all of the things that can go wrong. Nurses often end up looking after sick people without gloves, without gowns, without medicine, without water, without bed sheets, without supervision and without guidance. Decision-makers need to be reminded that nurses can function better if provided with support and supplies. It’s both gender and status, and it’s a lack of recognition of the profession of nursing. 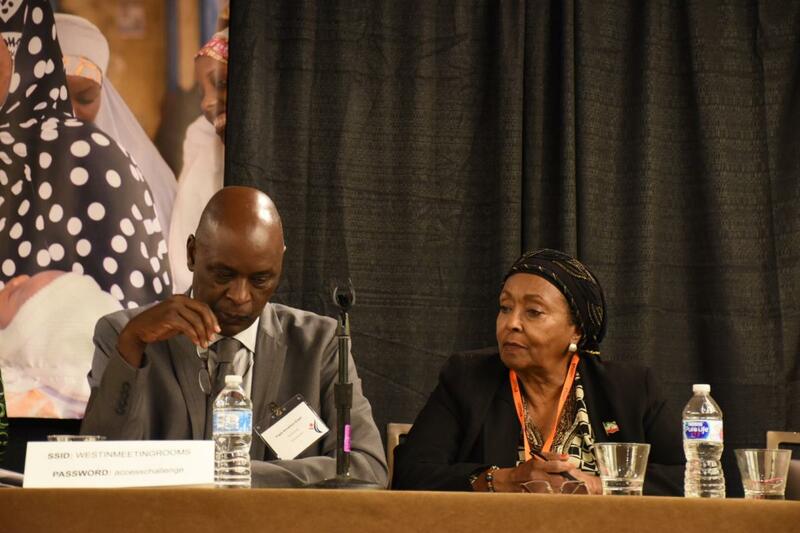 Edna Adan spoke alongside IntraHealth International's President and CEO Pape Gaye on the panel of a Maternal and Child Health Forum at the Access Challenge High-Level UHC Conference during UNGA. How have you been working to build up the health workforce in Somaliland and drive women’s economic empowerment? Twenty-eight years ago, when Somaliland separated from Somalia, we inherited a country where many of the health professionals had either been killed in the war or had left the country. In 1997, I started to build my hospital. With support from UNICEF and the WHO I led refresher trainings with the 32 nurses and midwives that could be reached and registered, through which I realized there were not enough to cover a population of nearly four million people. In Somaliland today, there are seven separate training facilities. Operating in an area with one of the highest maternal mortality rates in the world my hospital has delivered over 23,000 women and we have lost only 63 women. By training midwives and having them spread throughout the country they have been able to achieve massive reduction in the maternal mortality. This model needs to be replicated. How do you prepare nurses and midwives for the challenges of working in a government hospital? We have different training schools, and the trainees learn in the health facilities where they will be working. We recruit the top candidates directly from the communities they will work in, this way, they are known and trusted and they have a sense of responsibility to their people in that region. It creates a strong sense of allegiance, community, and bond. I often give the nurses and midwives gloves, and sterilized materials, to take back to the government hospitals. Somaliland has a health system that is improving more than our neighbors, but it still has a long way to go, and resources need to be made available. What would be your advice to policy makers about how they can strive to achieve universal health coverage? They should invest in health professionals; invest in improving standards and open themselves up to learn from positive examples of where things have worked better, such as Somaliland. It is better to learn from somewhere like Somaliland that is making do with minimal resources and basic technology, rather than from a wealthy country. How can we encourage investment in health systems and not just in disease prevention? It’s all a question of globalization, investments in health are seen through a lens of self-preservation. If I have a disease and I travel, I can pose a threat to others. With improved health in peripheral, poorer communities would be able to help protect the world from diseases spilling out. Strengthening primary health care, preventing diseases, and covering the basic health requirements of communities, would be more cost effective – both in terms of lives and resources. Edna Adan also spoke as a "champion midwife" at the International Confederation of Midwives event at the UN General Assembly. Jessica Turner is a Global Health Corps fellow working for IntraHealth International’s Advocacy team on the Frontline Health Workers Coalition and the Safeguarding Health in Conflict Coalition.